Are you planning a fun filled Easter egg hunt? 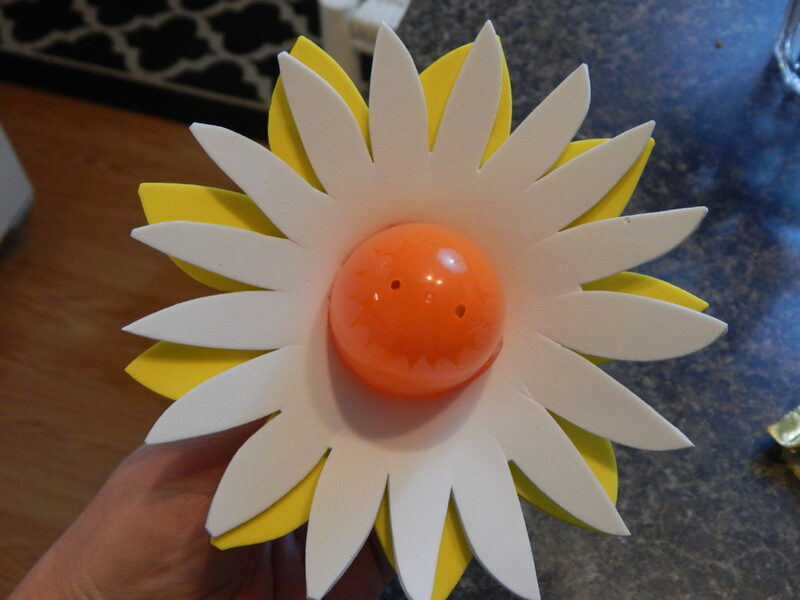 Make some of these Easter egg hunt flowers for a fun addition! 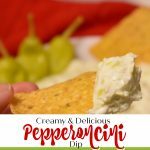 They’re also great in baskets or for decorating! Every year my Mom hides eggs in her yard and my boys have a great time finding them. Even as they have become teenagers they still look forward to the Easter egg hunt in her yard! You’d think that with her hosting the egg hunt every year I wouldn’t have a bunch of plastic eggs lying around… but I do. I like to fill them with small candies, jelly beans, or even money as an addition to my kid’s Easter baskets. 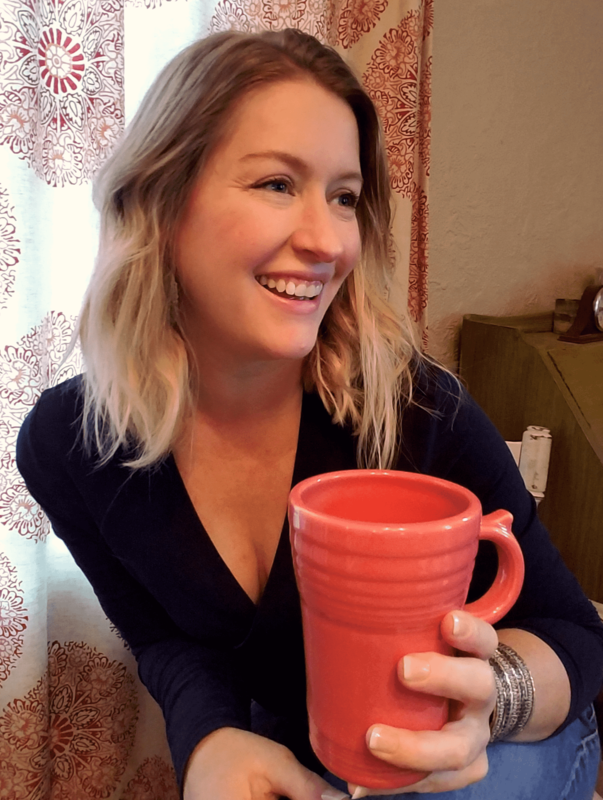 I’ve seen tons of ways to decorate with them, and some great ideas for fun ways to use them. I thought it would be fun to make some flowers out of them. 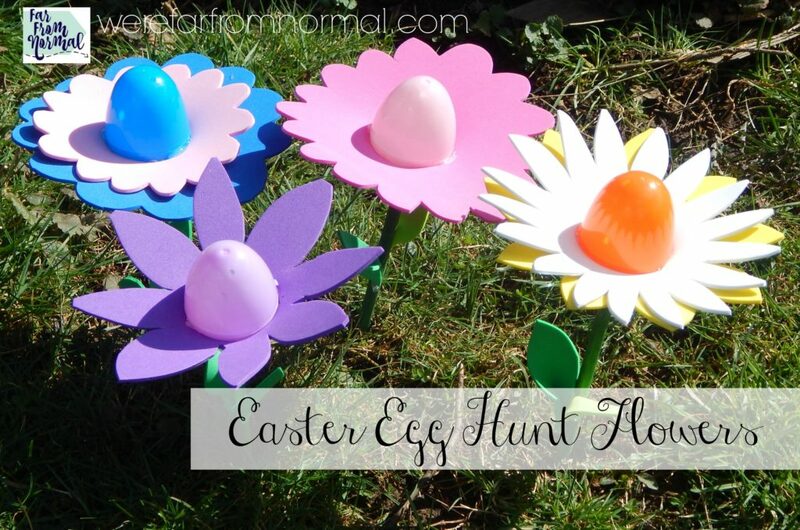 These Easter egg hunt flowers stick into the ground for egg hunting fun, they would be really great for little kids so they’re bright and easy to find. They’re also a great addition to Easter baskets or for an Easter gift, fill them with treats and make a filled flower arrangement! 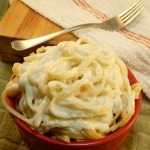 There are a lot of possibilities and since these are made from foam they’re reusable year after year! 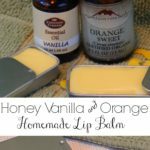 They’re super easy to make and you can mix an match any colors you want! 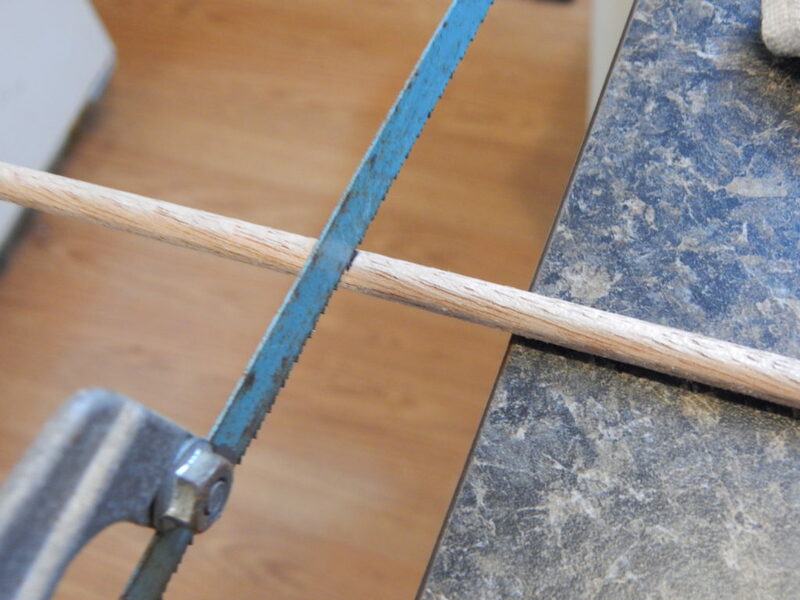 The first thing you’ll want to do is to cut your dowel rods into 6 inch pieces. I used a hack saw that I swiped from super hubby’s garage. The dowels I used are pretty thin, you could probably cut them with a really sharp knife or even a good pair of pruners. 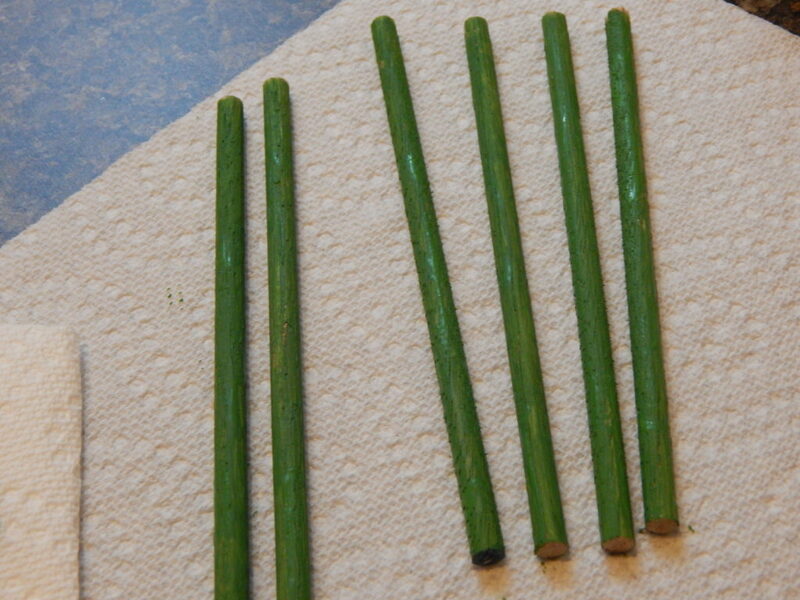 Once you’re all finished cutting your rods you’ll want to sand the ends smooth then coat them with a layer of green paint and lay them aside to dry. Now it’s time to make some petals! 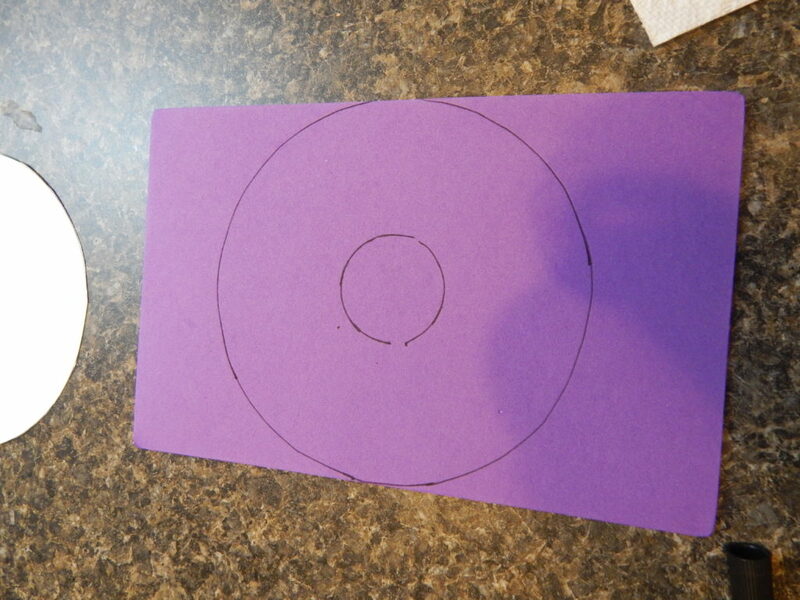 I cut out a circle with a diameter of about 5 inches, I just traced a pan lid, but you can make your circle as large or small as you’d like. Lay your circle on your foam and trace around it. 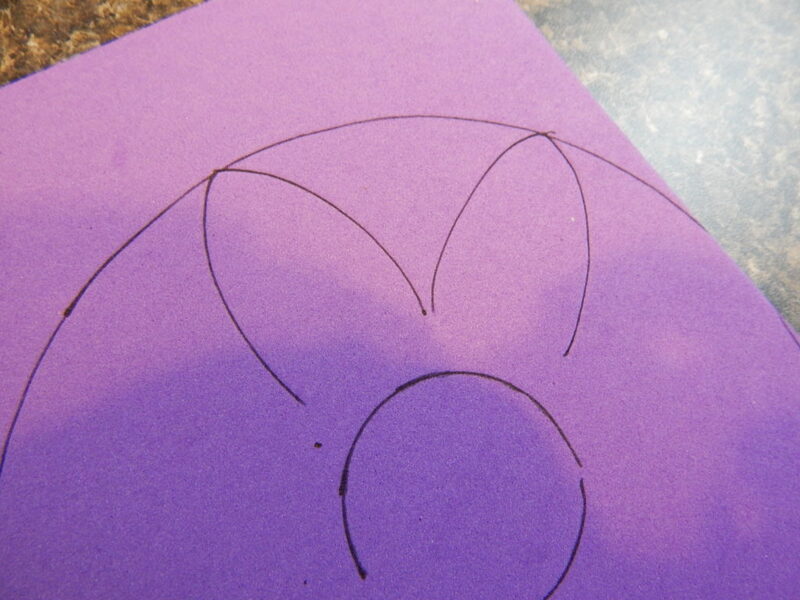 Once you have that circle traced you want to open up one of your eggs and trace it in the center of your big circle. 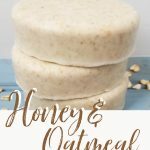 Your result should look kind of like a donut! Now if you want to draw in your petals you can if you’re confident in your ability you can just cut them out, either way works! 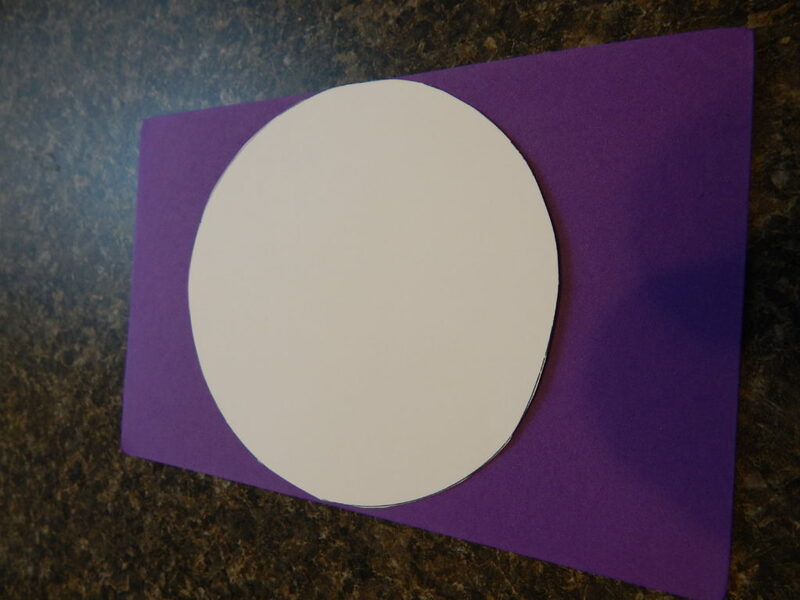 Now you’ll want to cut out the petals and the circle in the middle. 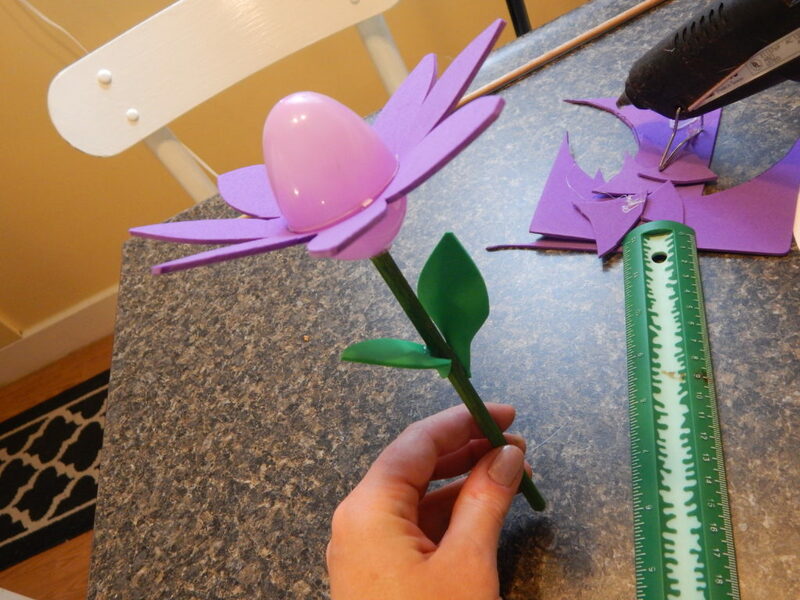 Now slide the petals around your egg positioning them right beneath where the 2 pieces come together. Put a bead of hot glue where they meet to keep them securely in place. 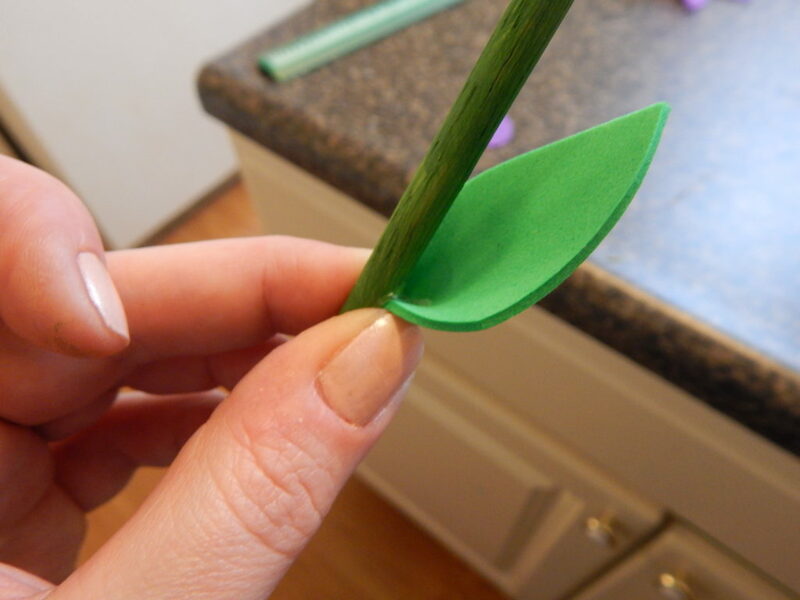 Now cut out a leaf shape or two from your green foam and attach it to your dowel rods. It works best to put a spot of hot glue toward the bottom then kind of pinch and hold it on while the glue cools. 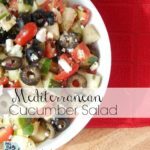 You can put on as many or as few leaves as you’d like! 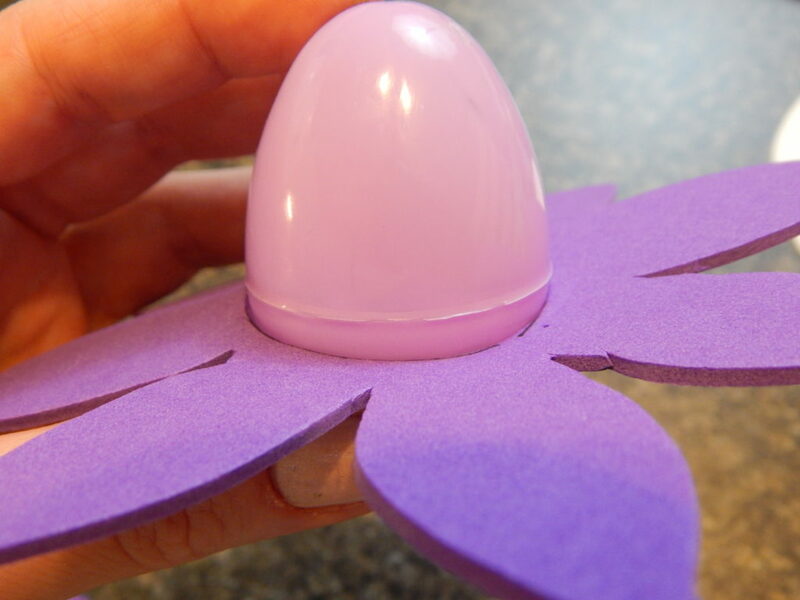 Now put a spot of hot glue on the bottom of your egg and stick the stem on holding it in place until the glue cools. Super cute right? You can mix and match any color combinations you like, even paint the stems different colors if you want to get super colorful! 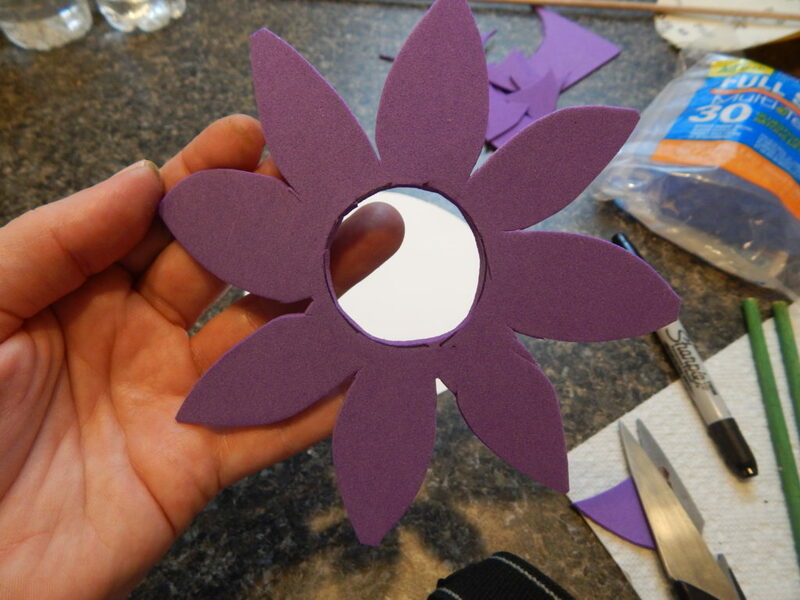 You can also layer more than one set of petals if you want to add more variety and color! 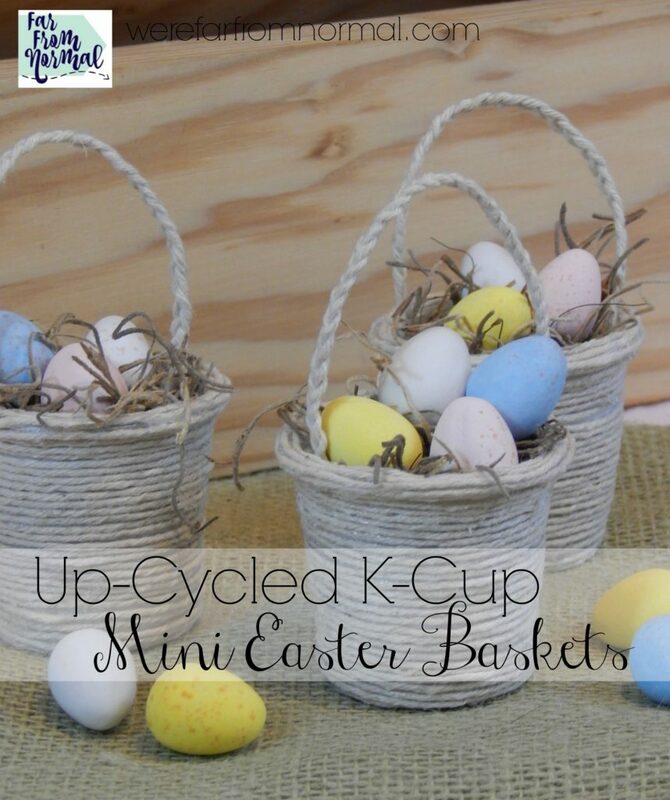 You can pop the eggs open and fill them with all kinds of Easter goodies, “plant” them in the yard for an egg hunt or dress up a basket or gift beautifully! 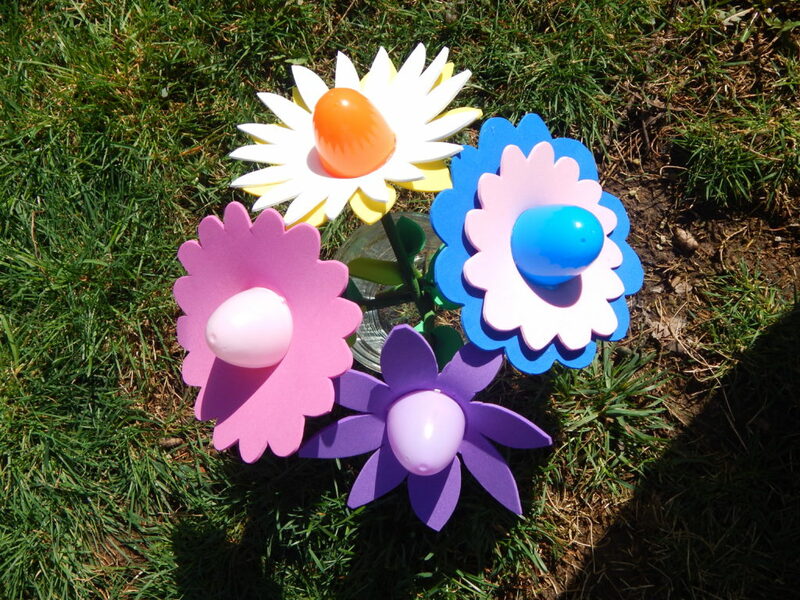 How will you use these Easter egg hunt flowers? In an Easter egg hunt, in a basket? 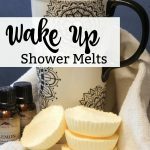 What is your favorite egg filler? That is REALLY Cute! They came out perfectly. I want to try those awesome flowers here. These are so adorable! My daughters would love them!!! 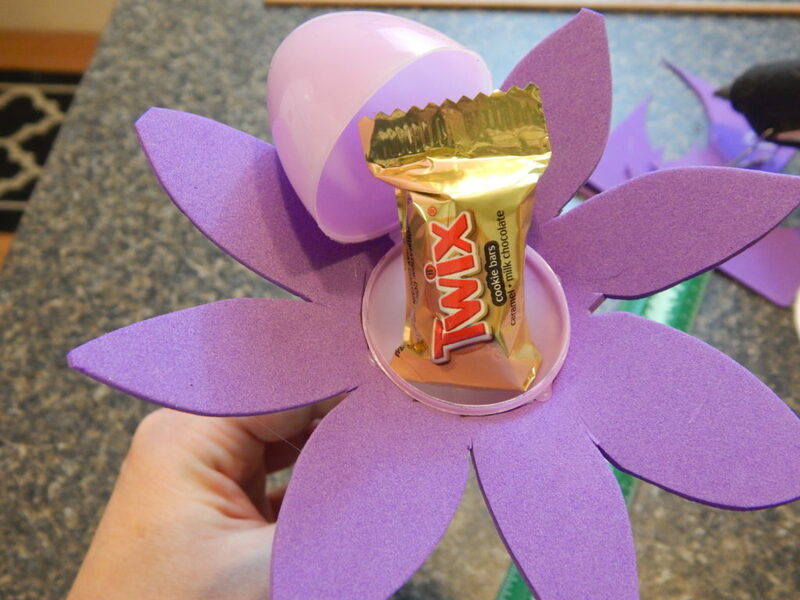 This idea is perfect for the Easter Egg hunt! I love you incorporating flower theme to these eggs!